Up until January 20th, this international Kitchen Fair will bring the most important companies and brands from the sector together so that they can present their latest designs in equipment and tools. 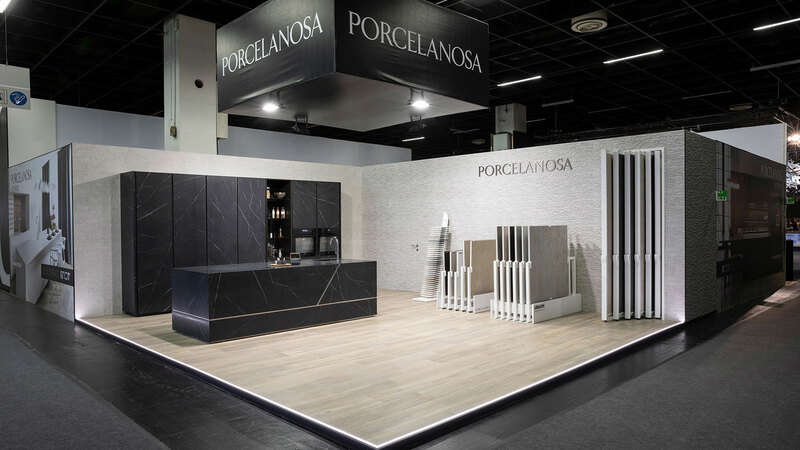 The firms: Porcelanosa, Venis, Gamadecor and Urbatek from the PORCELANOSA Grupo will showcase their new kitchen collections. 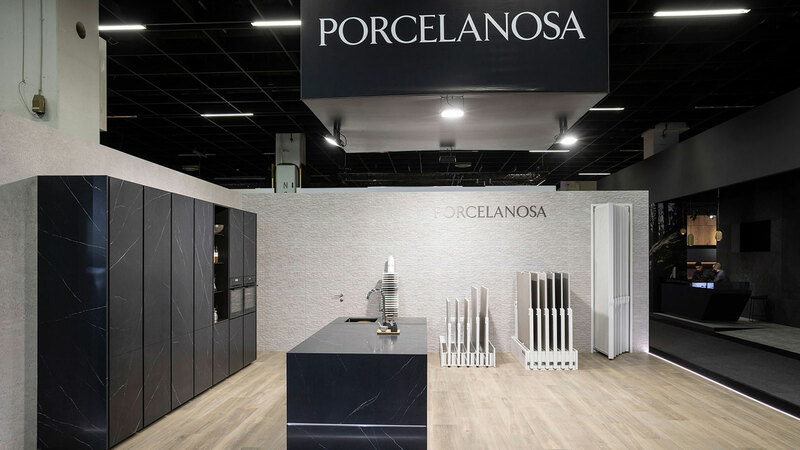 Porcelanosa, Venis, Gamadecor and Urbatek from the PORCELANOSA Grupo will showcase their latest kitchen collections at the LivingKitchen Fair in Cologne. 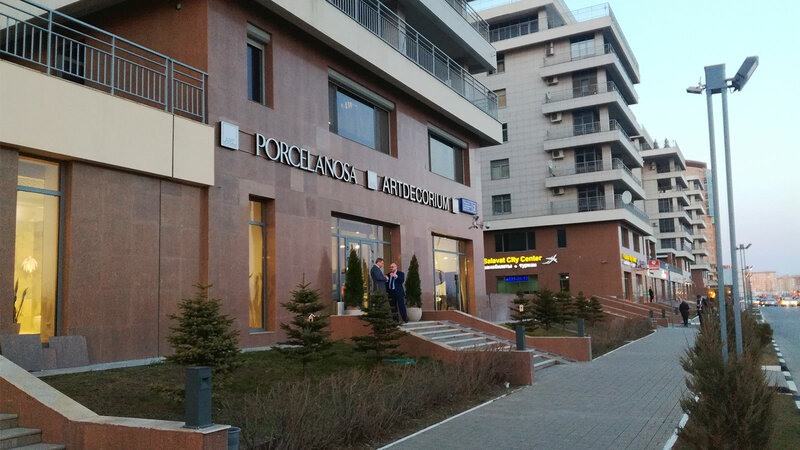 Up until January 20th, the four firms will present the latest trends in: equipment, floor tiles, wall tiles and ceramic materials. 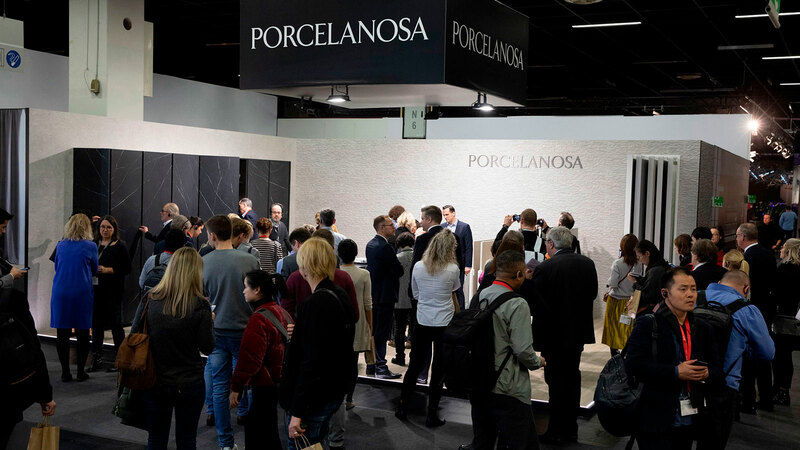 With an average of 15.000 visitors and 200 national and international exhibitors, up to 60% are from outside Germany, making this event one of the main events for professionals, designers, interior designers and for those who enjoy the kitchen. 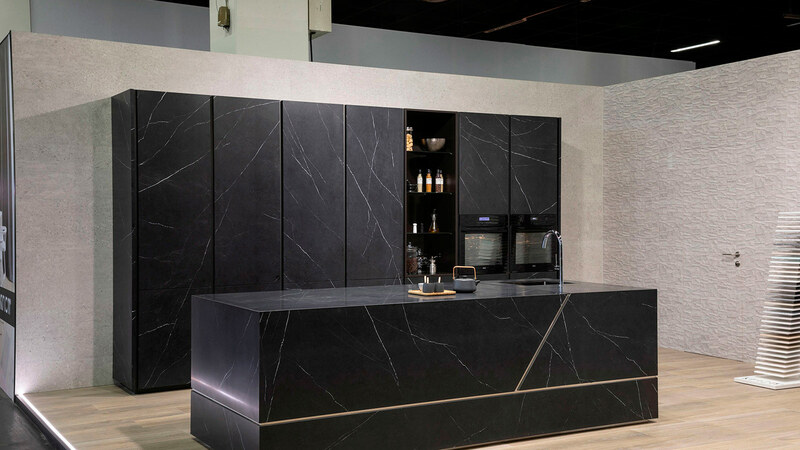 One of the main designs by Gamadecor is the Emotions E.9.30 kitchen, which has been manufactured with XTONE Liem Black Silk from Urbatek. The design is made up of two volumes which have been covered with the Xtone ceramic, whose central island has minimal compact aesthetic. 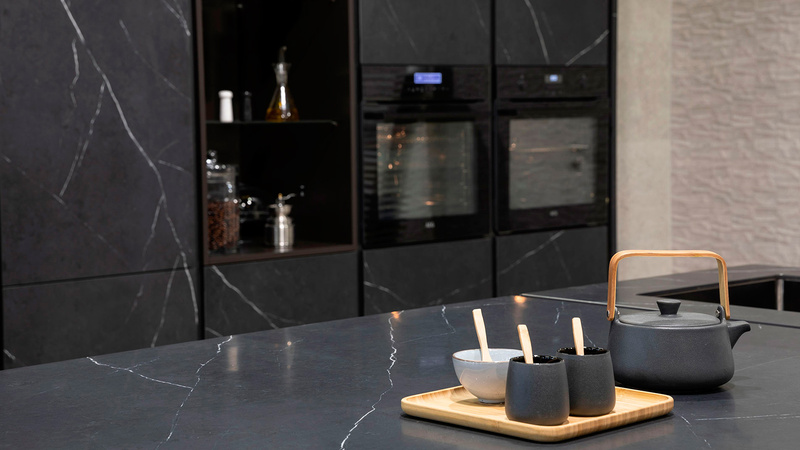 Its surface is flat except for the cooking hobs and the sink, both of which are excellently integrated into the worktop. It is the result of the latest ceramic technology in surfaces with Liem and its silky Silk finish. 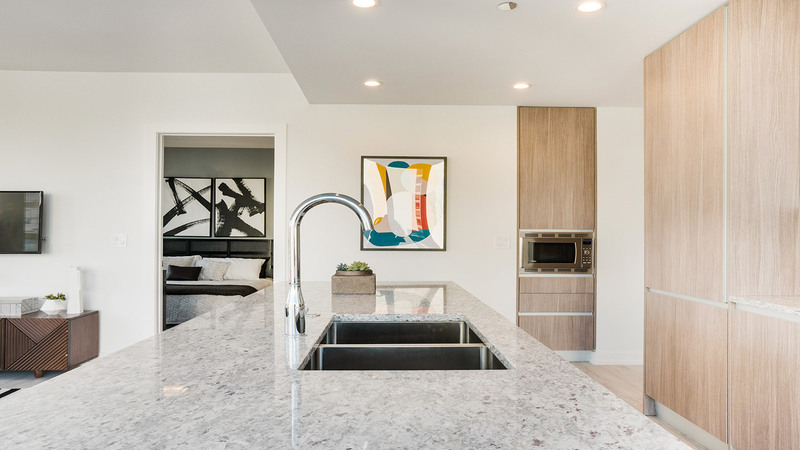 This kitchen stands out because of its aesthetic and practicality. 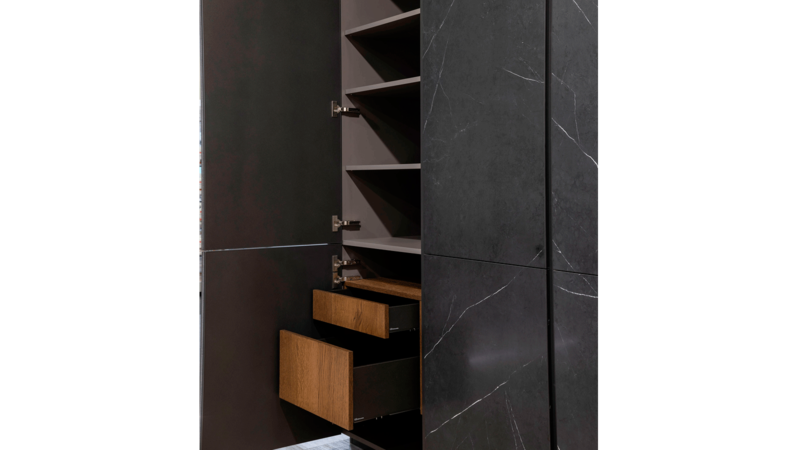 It incorporates several drawers and hidden state-of-the-art accessories which contrast visually with a column of open shelves. A minimal-styled set where functionality is achieved through modern and innovative pieces. 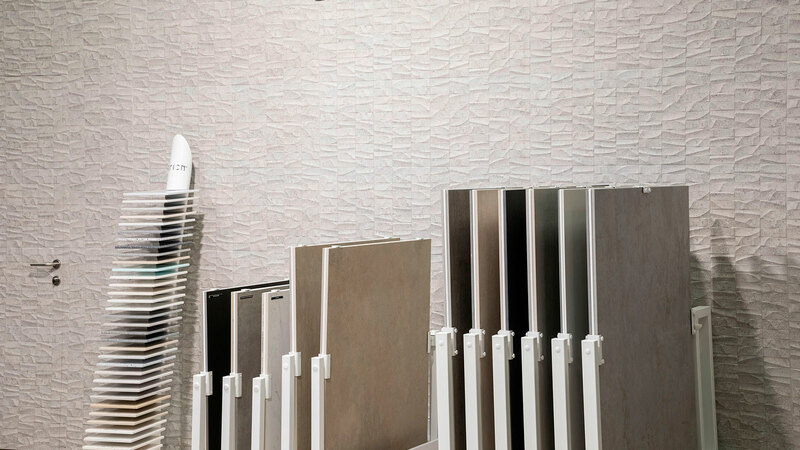 The Prada Acero wall tile from Porcelanosa offers a mosaic shape and gives the space elegance. 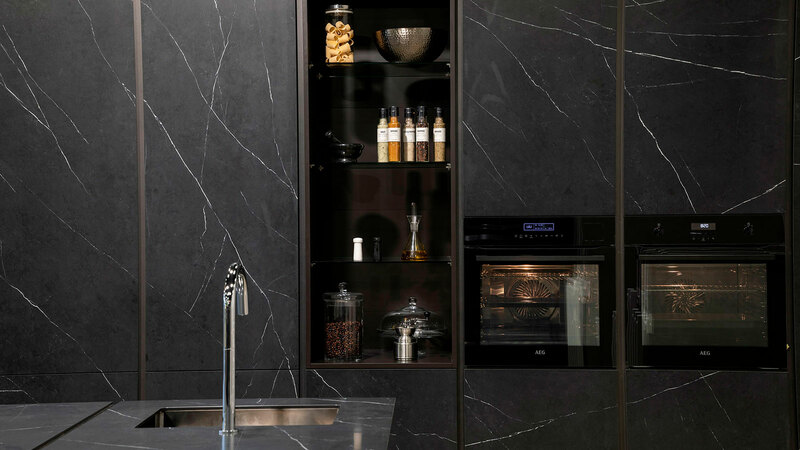 A colour balance which combines the stone finish and the white contrasts of the kitchen. With regard to kitchen floor tiles, it is worth highlighting the Tanzania Natural series from Starwood. 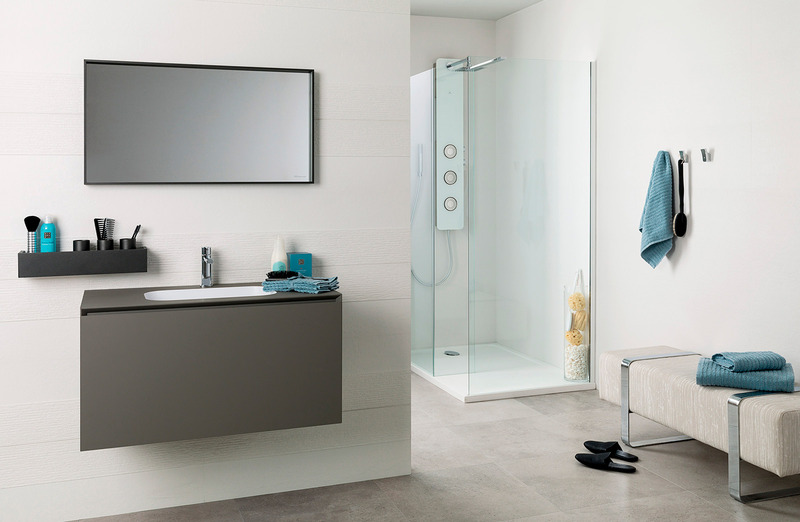 Inspired by strong natural wood colours, its set provides each area with harmony, calmness and neutrality.